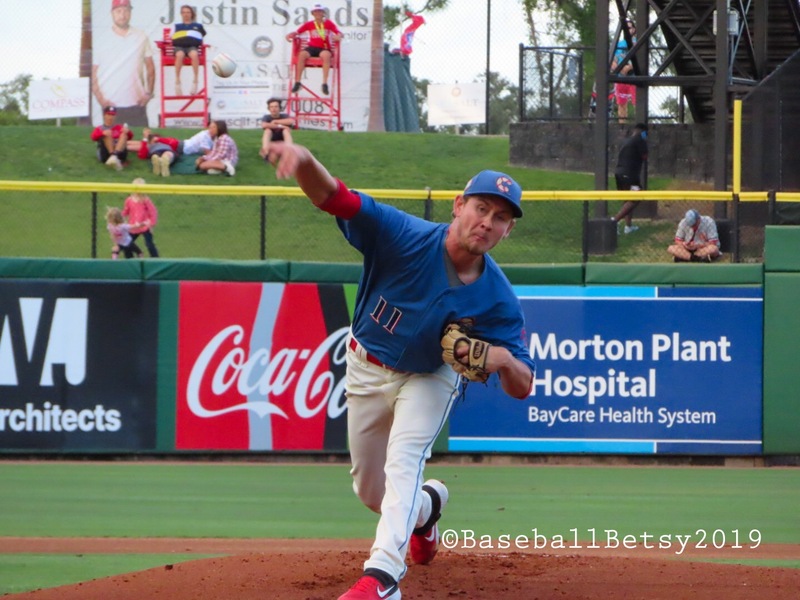 Finally, one of the top 19-year-old pitching prospects in the Phillies organization in my opinion, Ben Brown showed up on a minor league roster. Now, in his third season in the Phillies system, the big 6’6″ right hander was missing from a minor league team full-season roster when the Phillies broke camp earlier in the month. Big Ben finally made his full-season minor league debut on Saturday for Lakewood against the Lexington Legends. 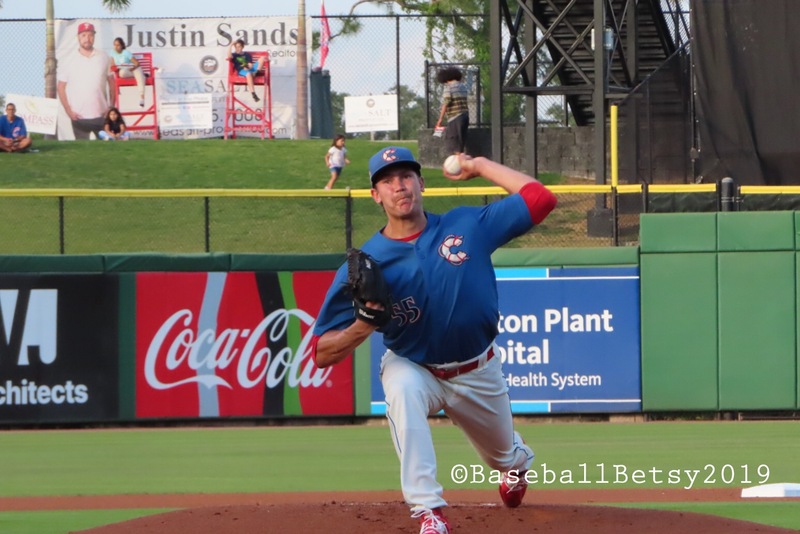 Ben was kept back at the Carpenter Complex in Clearwater while Lakewood has limped out of the gate to a 4-13 record with the SAL highest team pitching ERA of 5.21. Brown came to our attention last July when he struck out 16 against the Detroit Tigers GCL farm team in a six inning start. In Saturday’s game, he was brought in to start the fourth inning after the hapless BlueClaws were already trailing 6-0. He needed only 41 pitches to strikeout five allowing no runs and one hit over three innings. Brown was interviewed by Tony Graham for Lakewood’s website about his minor league full-season debut with some video of his game. Watch HERE. You might not find the name Ben Brown on most Phillies top prospect lists. Philly.com just came out with its Top 25 Phillies prospect list. Of the 14 pitchers on that List, none of them are named Ben Brown. Currently, the MLB’s Top 30 Phillies Prospect List has 18 pitchers names on it, but Brown’s name is missing there as well. Hopefully, we will be seeing Brown in Clearwater again soon. Only this time he will in the Clearwater Threshers starting rotation because his is a top Phillies pitching prospect! The Clearwater Threshers are using a rare three-man catching rotation in the Florida State League. Now in his third season with the Threshers, veteran catcher Edgar Cabral has only caught in four games and served as DH in five other of the 17 games so far this season. Last night his ability to hit two sacrifice flies, as the DH, was the key to the Threshers 2-1 victory over the Tampa Tarpons. Danny Mayer, who has played in only 10 of the 17 games this season in the corner outfield positions, set up the two sacrifice fly RBIs by hitting a double in the second inning and scoring after hitting a triple in the fourth inning. Watch the Mayer extra base hits HERE. Cabral hit into a sacrifice fly double play to score Jake Scheiner for the first Threshers run in the second inning. Mayer had doubled Scheiner to third but was thrown out trying to advance on the Cabral sac. fly. Cabral then hit another sacrifice fly in the fourth inning. He drove in Mayer after his triple for the second run in the Threshers 2-1 win over the Tarpons. The only run the Tarpons put on the board was an exciting inside-the-park home run off of reliever Connor Brogden in the sixth. The play could have gone either way at the plate but the Tarpons Dermis Garcia was ruled safe by the plate umpire. Watch HERE. Threshers starting pitcher Andrew Brown came into the game with an 0-2 record and an ERA of over 10.00 but pitched five shutout innings to get the win. Closer Jonathan Hennigan pitched two shutout innings to get his second save in as many opportunities. The Threshers are now in a three-way tie with the Tarpons and the Florida Fire Frogs, all at 6-11 at the bottom of the FSL Northern Division. The Threshers take on the Fire Frogs Monday night, at 7:00 pm, at Spectrum Field. It looks like true fans will need other reasons than winning baseball to go Clearwater Threshers games this season. Threshers right fielder Jhailyn Ortiz is our reason that we go, not expecting a win, but exciting play. He is worth the price of admission! 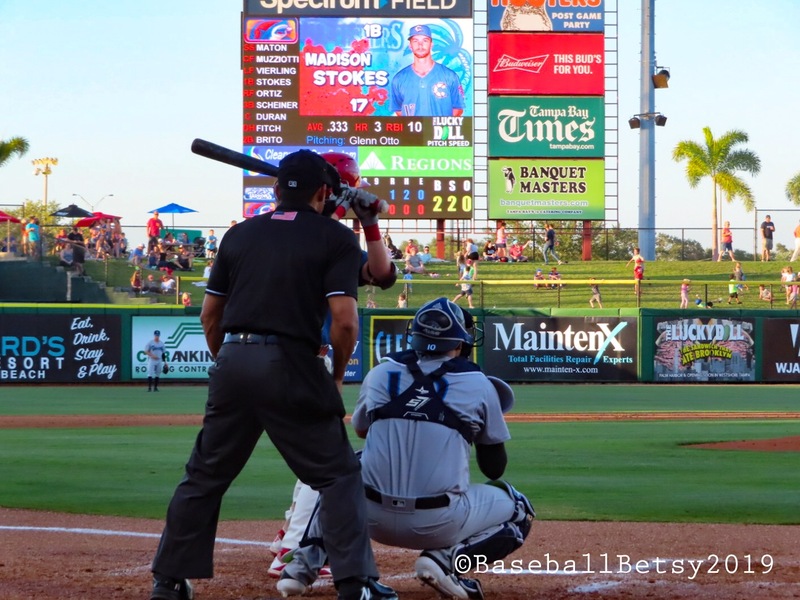 Last night was no exception as the Threshers fell to the Tampa Tarpons 8-4 on a cold, blustery night by Florida standards, 8-4. It was a battle of the the two teams with the identical worst records in the Florida State League. The Threshers fell behind early. Starter Kyle Young just did not have his best stuff. Jhailyn Ortiz touches them all! Jhailyn Ortiz saved the day for us diehard fans. In the fourth inning he hit one of the most powerful home runs we have ever seen hit at Spectrum Field. See HERE. With a 14 mile-an-hour wind gusting to right field, he drilled a shot to left through the wind into the Tiki Bar net protecting the patrons bending their elbows from incoming long balls. The homer was the first of the season for the power hitting Ortiz, who sat out the first week of the season and is only now rounding into mid-season form. Jhailyn was not done. He would walk in the sixth inning and score on a Jake Scheiner triple, watch HERE. 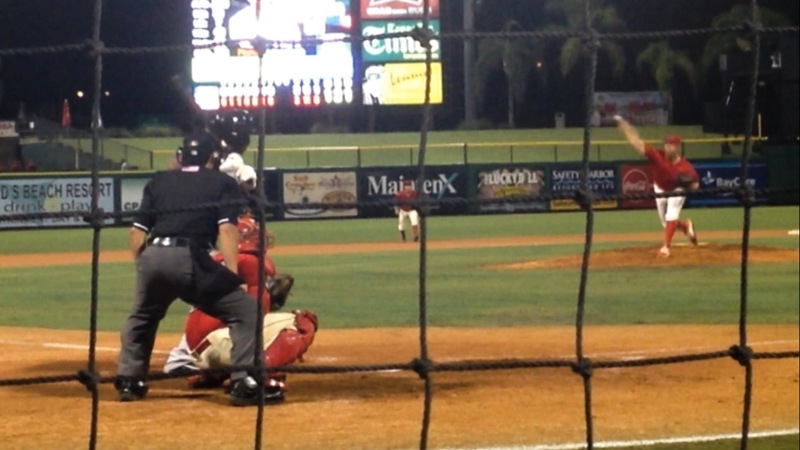 Still, the best the Threshers could do all night was get the tying run to the on deck circle. By the time the ninth inning rolled around we had enough of the cold weather and losing baseball. We started to head to the parking lot to get a head start home. First, we stopped to talk to an usher friend on the concourse up behind the visitor’s dugout and caught Ortiz’s final at bat. We were glad we did. He hit a ball so hard just inside the third base bag that it rebounded off the retaining wall in front of the seats down the left field line. Because the ball was hit so hard, he had to pull up at first base with a single. What a nice way to cap an evening of watching baseball! When we got home our night was not done, the Phillies were still battling the Colorado Rockies on MLBTV. You know the rest of that story. But thanks to Jhailyn Ortiz, we had a what the Black Eyed Peas would call a “good, good night” of watching Phillies baseball no matter how cold the weather or what the final scores were! It was a battle of the two bottom teams in the Florida State League’s Northern Division. 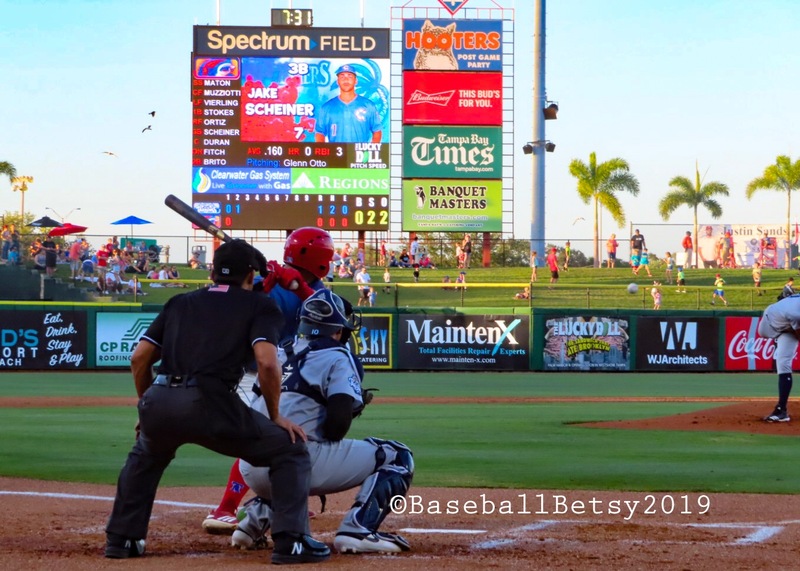 The Clearwater Threshers downed the Tampa Tarpons 10-3. Both teams now have 5-9 records as they fight to move up in the standings. The Threshers had to come from behind for the win as the Yankees farm team used two solo home runs to get a quick 2-0 lead after two and half innings. 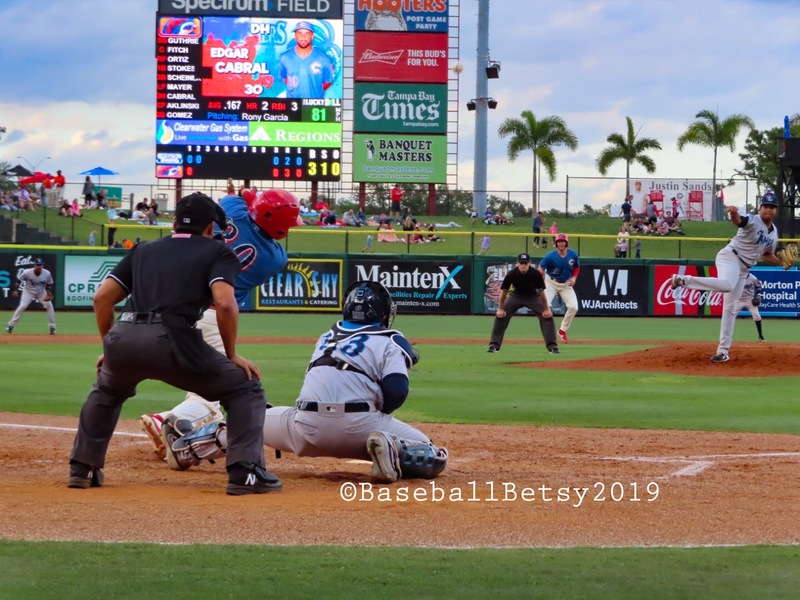 The Threshers tied it up with two runs in the bottom of the third and pulled away with three runs in the sixth and five more runs in the seventh for a 10-3 win. Starter Alejandro Requena pitched well but had to be taken out with two out in the fifth trailing 3-2 with a pitch count of 96. He pitch count was high because of six strikeouts and three walks in 4.2 innings. The Threshers bullpen of Gustavo Armas, Ismael Cabrera and Seth McGarry shutdown the Tarpons the rest of the way pitching 4.1 innings of shutout relief. The story of the game was the Threshers offense which has been dormant in most of the early going. They scored 1o runs on 13 hits in the game scoring 2 runs in the third, 3 runs in the sixth and 5 runs in the eight. Nick Maton. 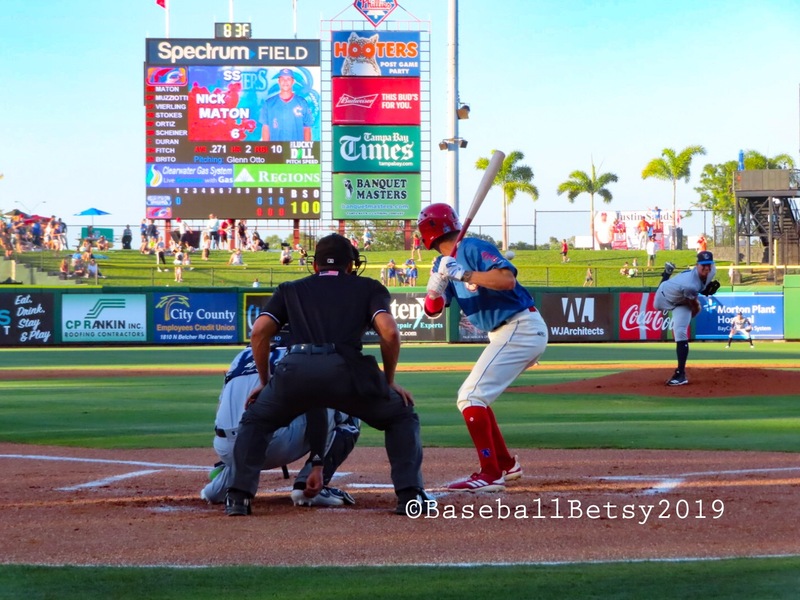 The Threshers lead off hitter knocked in a run on a single in the third inning to raise his RISP batting average to .615 (8 for 13) with 10 RBIs in only 13 games. Watch HERE. Otherwise, he went 0 for 4 when no runners were on base or in scoring position. Simon Muzziotti. He likes hitting at Spectrum Field with three hits last night including slapping two doubles down the left field line. He is hitting .381 in the first six home games of the season. Watch HERE. Madison Stokes. 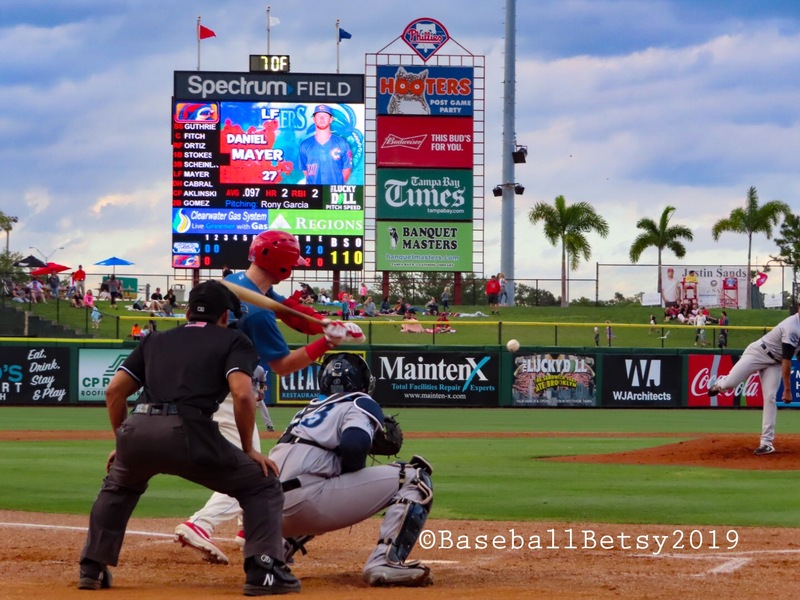 He has been carrying Threshers offense in the first two weeks of the season. His double drove in two tack on runs in the seventh inning. Watch HERE. He is second in the FSL both in homers with three and RBIs with 12. He is hitting .321 in his first 14 games of the season. 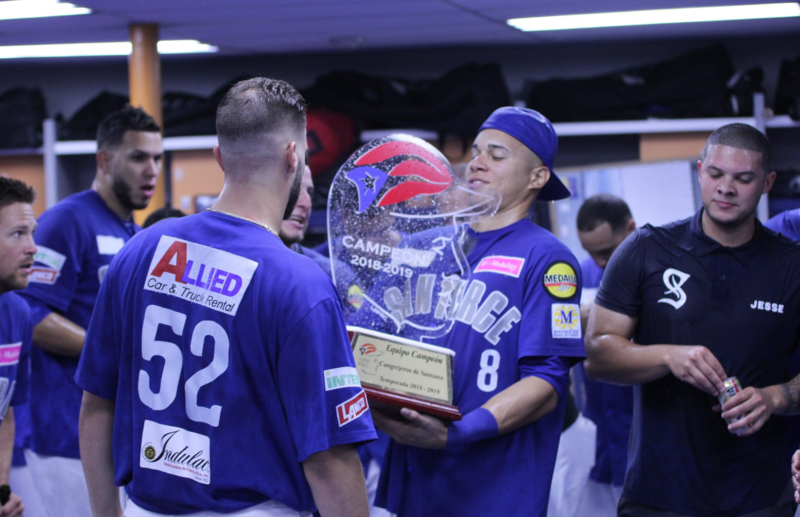 Jhailyn Ortiz and Rodolfo Duran. Ortiz had an adventurist game. 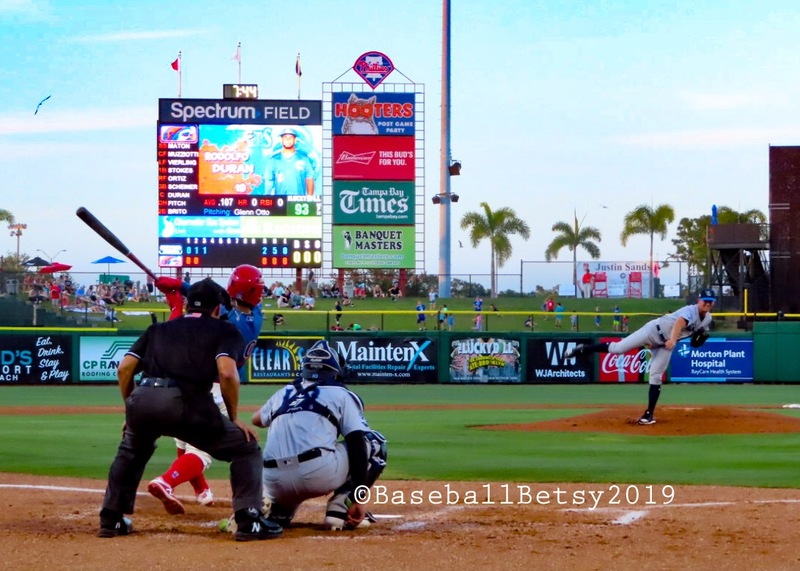 He doubled down the third base line to drive in the tying run in the sixth and scored on what turned out to be the winning run on a base hit by Jake Scheiner to give the Threshers a 4-3 lead. See the Scheiner base hit below. He was hit by a pitch in the seventh, see HERE, and then scored on a base hit by Duran. Watch the Ortiz double and Duran’s single, HERE . Jake Scheiner. He had two RBIs on his base hit to left for the lead in the game in the sixth, watch HERE and a sacrifice fly tack on run in the seventh. 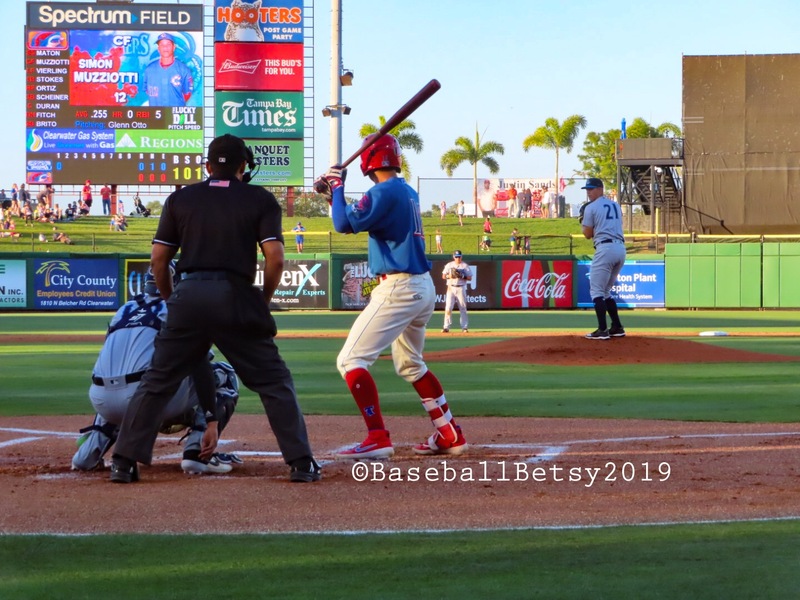 Finally, the Threshers put together the winning combination of good starting and bullpen pitching and and all nine batters in the lineup had at least one hit. Normally, a no-hitter tops the three-run homer but not last night in Phillies minor league action. 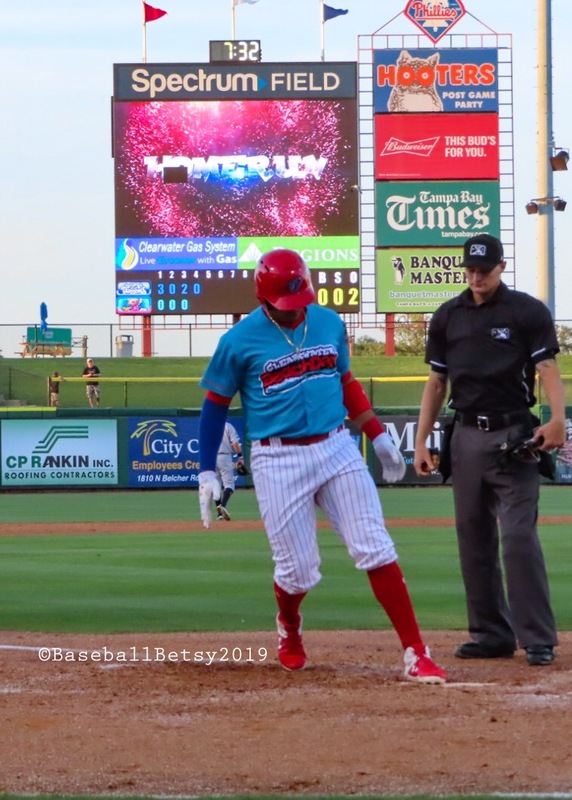 It was a three-run homer by outfielder Jan Hernandez that was the difference in the Lehigh Valley’s 5-2 win over Scranton/Wilkes-Barre in the second game to sweep a double-header yesterday. Damon Jones could not have pitched better. He pitched six shutout, no-hit innings with the Threshers leading 2-0 before he was pulled. All he received for his effort was a no decision in the Clearwater Threshers 5- 2 loss to the Florida Fire Frogs to go 4-10 on the season. Hernandez is having the best start of his seven-year Phillies minor league career. Still, he is only 24 years old. In his twelfth game of the season, he hit his fifth home run in only 50 at bats. He is second in the International league in homers and his 15 RBIs is second in the IL. Jan is one of the key reasons that the IronPigs are off to a 10-3 and the best record in the IL. Jones still has not picked up a win in any of his three starts. 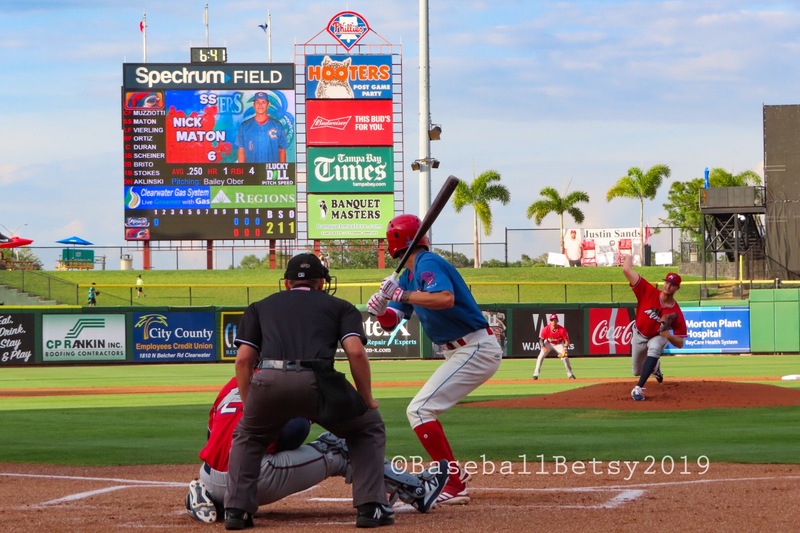 The Threshers relief pitching has left much to be desired this season. The pen gave up five runs in the seventh inning of last night’s game. Last night was actually Jones second no-hitter in three starts. He was yanked after three no-hit innings in his first start but he was charged with an unearned run. His pitch count had reached 73 in that game. His pitch count reached 76 before he was pulled after his six innings of “no-no”, seven strikeout baseball last night. After his three starts, Jones is tied for the lead in the Florida State League with 23 strikeouts. He also leads the league in walks with 10. He has allowed only one earned run and batters are hitting only .116 against him in the 14 innings he has been allowed to pitch this season. 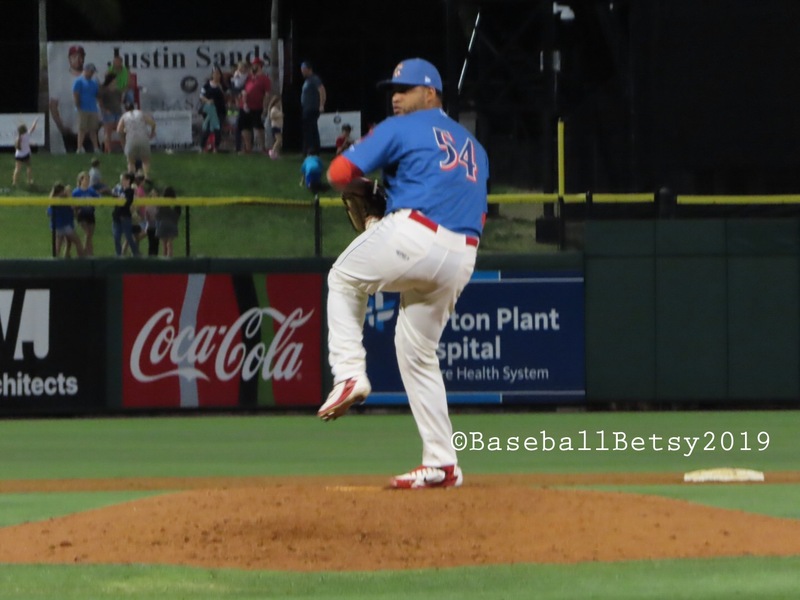 Two names to remember for April’s Hitter and Pitcher of the Month in the Phillies minor league system are Jan Hernandez and Damon Jones. The first thing I look for is a hitter’s batting average with runners in scoring position. Can this guy hit when it counts or is he a table settter? 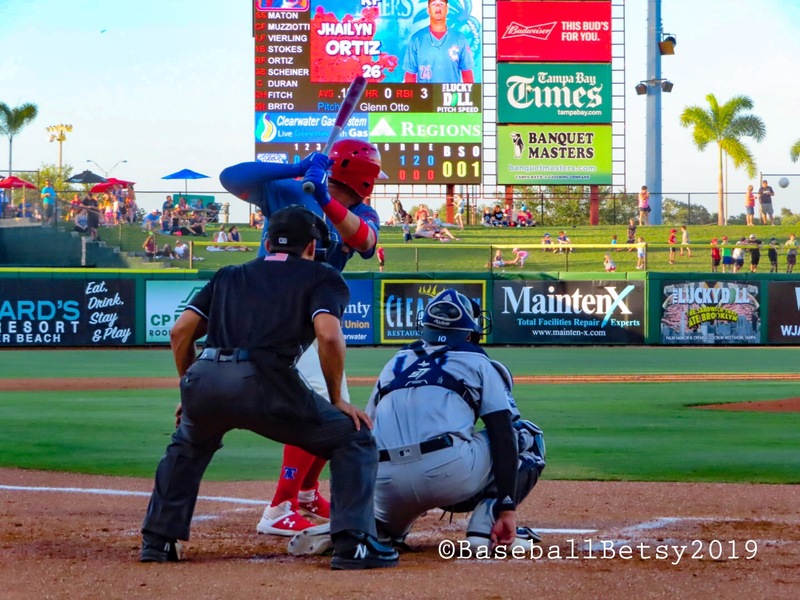 The Clearwater Threshers shortstop, Nick Maton, this season is showing he can hit when it counts with RISP. Even with these statistics, Maton has now been slotted for the lead off spot. He has gone 1 for 9 in the lead off spot so far this season with two walks. We can only observe that the Phillies analytics department appears willing to concede Maton’s first at bat for later at bats when the bottom of the lineup table sets for Nick since the pitcher does not bat in A ball. Another guy who caught out attention yesterday was Luke Leftwich. 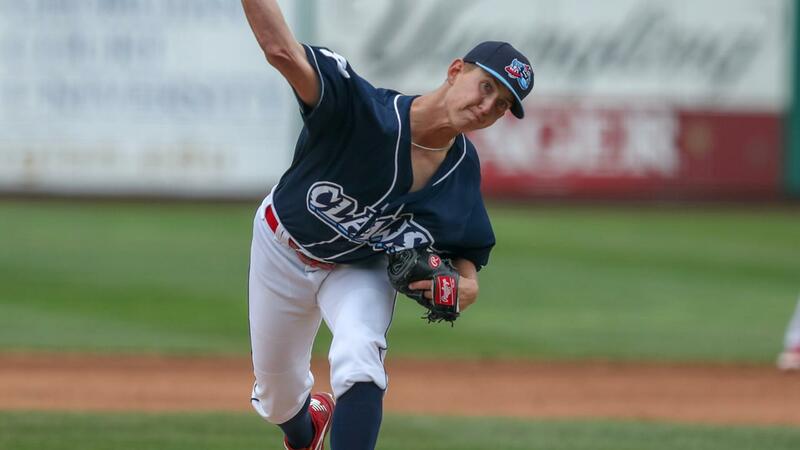 As top notch middle reliever, he came on for Reading in the 7th of last night’s game and struck out-the- side and struck out a total of five for his two inning “hold” as Reading went on and won 5-2 over Portland. Leftwich has now struck out 12 in 7.1 innings allowing no runs and one hit in four relief appearances. Look for Maton and Lethwich to move up in the Phillies system if they can continue their outstanding start to the 2019 season. The Phillies both A-ball level teams are off to slow starts at 3-9 so we must look at some individual players who had good games last night for some positive progress. Players on the left side of the infield for both Clearwater and Lakewood stood out. Shortstop Nick Maton had a big game for Clearwater with a triple and a homer. Maton shook off a batting slump to drive-in five runs in the 6-5 win over the Braves, FSL farm team in Kissimmee. He likes to hit with my favorite stat– hitting with runners in scoring position. After last night, he has gone 5 for 10 with eight RBIs with RISP so far this season. Third baseman, Alec Bohm hit a single and a double for Lakewood. He drove-in a run in Lakewood’s 5-4 loss in Charleston, West Virginia. He has been on fire hitting .361 over his last ten games. Can’t wait for his call-up to Clearwater to play next to Maton on the left side of the Threshers infield. On the mound, two lesser know starters pitch well. For Clearwater, Julian Garcia rebounded from a weak first start. For Lakewood, Jack Perkins was outstanding in his second start with an outing in the bullpen in between. Garcia pitched a six-inning, two hitter striking out seven. He has now struck out 13 in 9.2 innings. Jack Perkins is caught in the middle of the piggyback system employed in Lakewood. Perkins has struck out 7 in each if his two, four innings starts and recorded two more strikeouts in a two inning relief appearance. He now has struck out 16 in 10.2 innings in three appearances. The 3-9 records of the A ball teams are not indicative of the talent playing for the Threshers and BlueClaws. Nick Maton, Alec Bohm, Julian Garcia and Jack Perkins proved that last night.